On the last Sunday of every month, we host a free Market Day here at the hotel. There are many local businesses that have a stall, and you can discover lots of amazing things. We like to feature some of our stallholders on our blog, and this time, we’re highlighting Bath Flame Body. 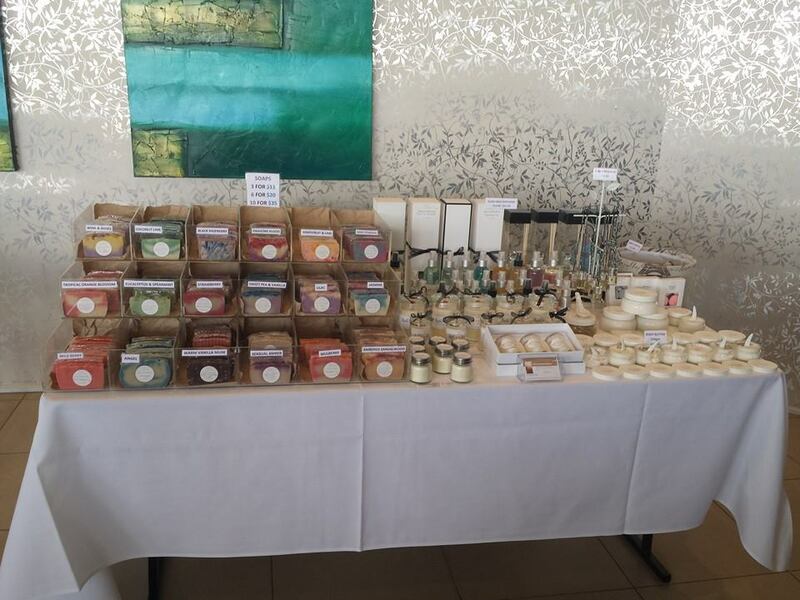 Bath Flame Body is run by Alda, who creates a range of beautiful home products, including soy candles, tea lights, melts, soaps, body butters, body scrubs, and home and car diffusers. Alda has a passion for what she does, and this comes across in the quality of her products. All products are designed to work in harmony with one another, covering your full range of body and relaxation treats. The products are made by hand with special care, and are all natural and free of any animal products. 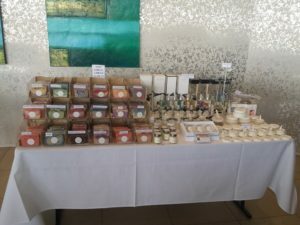 Alda considers soap and candle making an art and has perfected her products with a lot of time and love. “Each and every product I make, whether it is a candle, melt or bar of soap, is always different. Each piece you purchase has uniqueness about it. Anyone and everyone can make a candle or a bar of soap, but it takes time and high quality products along with lots of patience to make it perfect,” she says. Find out more about Bath Flame Body on Facebook. Visit the Bath Flame Body stall at our free Market Day on October 26, from 11.30am.